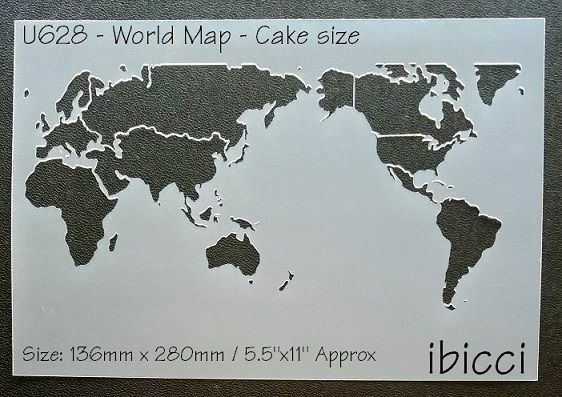 Our World Map made a year ago has finally made it to the website. A Cake Professional asked if we had one - Of Course! But we made a few alterations before releasing it. We have put a few country borders in to help hold those large open spaces and make the stencil more robust. The actual design size is 136mm x 280mm - approx 5.5" x 11"